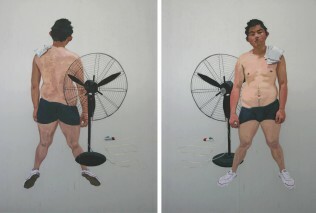 Fan Jiupeng graduated from the Central Academy of Beijing (2005) and used to be a student of the famous artist Liu Xiaodong, considered as the master of expressionism in China, as Lucian Freud was. 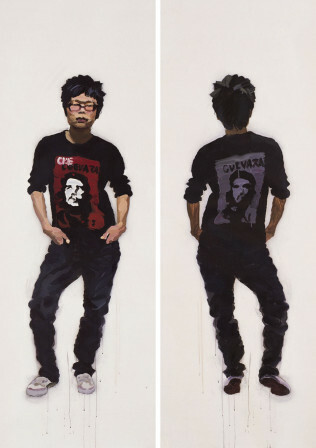 Fan Jiupeng worked on a series of big format self-portraits or portraits, with an amazing brushstroke considering his young age. He depicts the Chinese youth, and the keys around his neck would be the keys of the future for the young adults; it also refers to the kids going to school in China and carrying keys around their neck. These teenagers and youngster are again visible in his tracing paper series. 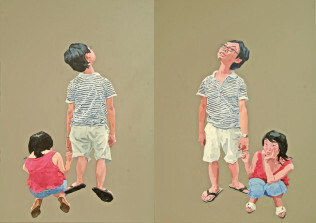 The artist exposes the severe aspect of the one child policy and the modern and connected generation that emerged over these last 20 years. The characters he creates are moody, and represent the average teenager. The game between two different readings is also very strong in his series of oil paintings where we can see both sides of his characters’ figures on the same canvas. 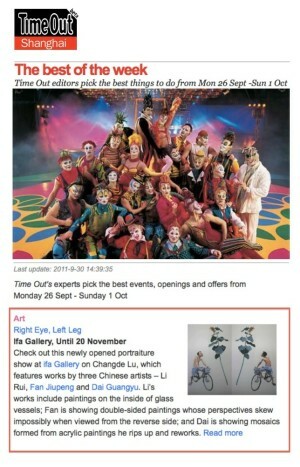 The artist clearly refers to the psychology and double behaviour that each of us can have. 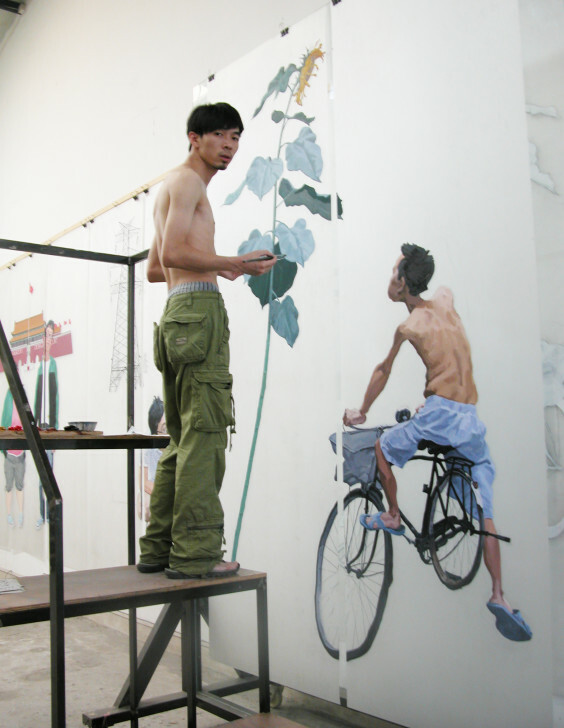 Recently he started to depict groups of people, usually couples, on the same transparent paper, presenting some everyday life scenes of the Beijingers. This new work is very colorful and full of humor. 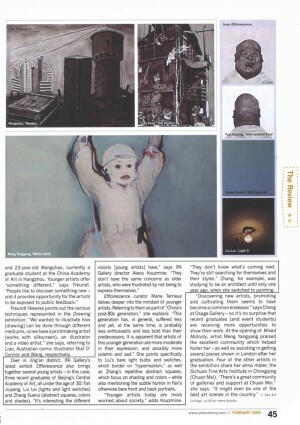 It could be compared to comic strips, following the main character in his habits and discovering him in his intimacy. 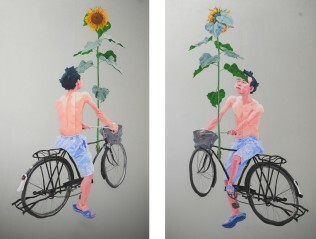 Fan Jiupeng has strong skills in painting but also a good sense of humor that is refreshing but also leads to observe the current society with great attention.